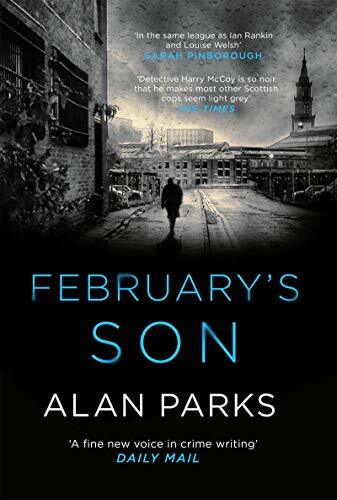 February’s Son – Alan Parks starts with a nicely nasty prologue and then Harry McCoy is back. There is an unpleasant murder scene of someone who may be well known. Assorted bodies are involved in this dark police story from 1970s Glasgow. The book essentially carries on from the author’s earlier book Bloody January. The characters are allowed to develop further in this book and McCoy seems little changed from the last book. However it does seem possible that his past may come back to haunt him again and to challenge his views on law and order. These are a little shaky at the best of times! While this book could be read as a standalone story I would recommend anyone who hasn’t read the first book to do so first. It’s a good read and provides useful background to some of the key characters. It is worth mentioning that February’s Son is fairly violent and does use quite a bit of bad language. That said I’m imagine that is perfectly appropriate for the 1970s crime scene in Glasgow. It’s a tense and well paced read. Some of the main characters have developed nicely over the two books as far as I am concerned. I find McCoy – another troubled detective – a very good character. My only real reservation about February’s Son is that, if I’m honest, I found one of the story lines rather far fetched. That said I enjoyed reading this dark and, at times, powerful tale. I certainly intend to continue reading this series. My review of the first book, Bloody January, is here.